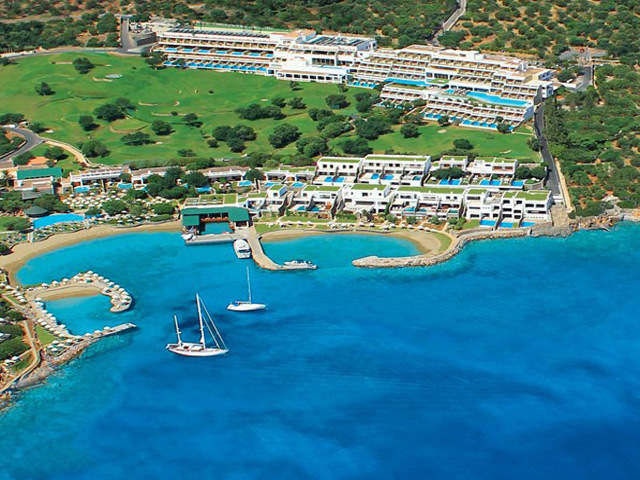 The “Elounda Blu Hotel”, is situated in the international renowned hot spot of Elounda. The Greek islands’ architecture is evident throughout Elounda Blu with earth colors that blend with the Cretan environment. 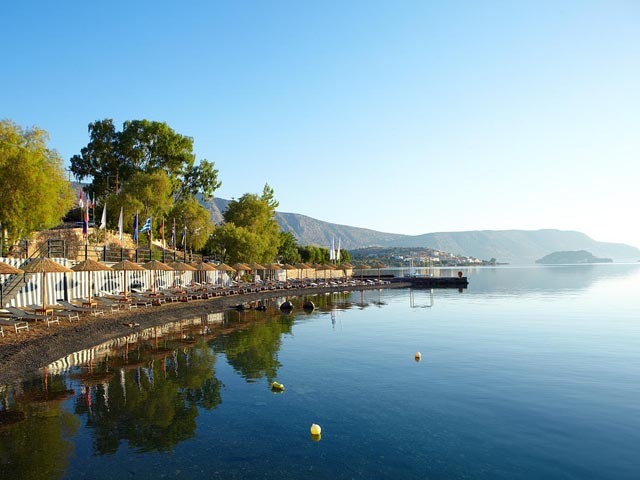 The area’s stunning views of the gulf of Elounda, the traditional town of Elounda, and the medieval castle of “Spinalonga” create an idyllic surrounding for a relaxing holiday. In front of the resort lies a sandy and well protected from the streams beach, that offers various choices to keep you by the sea water. The emphasis on the area’s natural riches and the resort’s services create an environment that fashions a vacation that must be experienced by all. 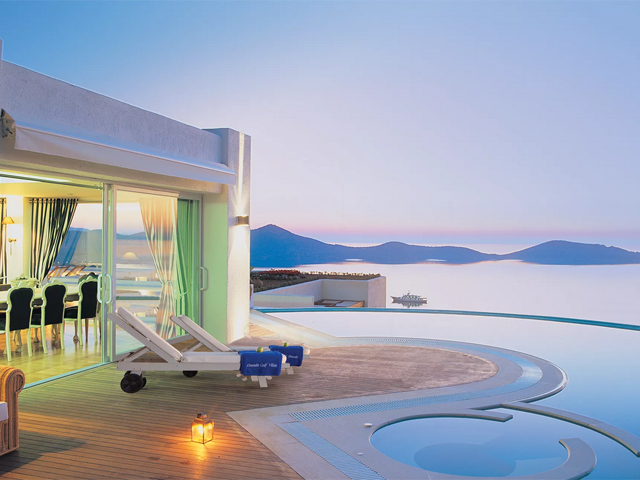 Elounda Blu is a redesigned hotel with a brand new adult only concept that promises to offer a relaxing ambiance, with elevated services. 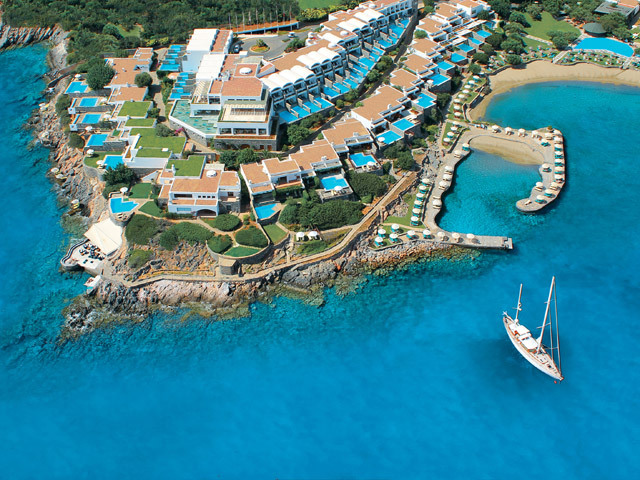 Elounda Blu Bay Hotel is a newly built Hotel, situated on the North Coast of the Cretan Sea, only 1,2 km from the Village Centre of Elounda and 11 km from Agios Nikolaos. Built up amphitheatrically overlooking the Gulf of Elounda in a peaceful setting, it has a panoramic View on the Bay and the famous Spinalonga Island. The magnificent sunrise and the breathtaking moon rising from the Hotel's Balconies is going to be an unforgettable experience during your holidays in Crete. So, for you the last romantics who want to rest and relax, or for you who seek fun and excitement during your vacations, this is the ideal place to stay. The resort consists of sea view rooms, garden view rooms, sea view rooms with sharing pools, sea view suites and sea view suites with private pools. The well groomed patios of the garden view rooms, the stunning views of the sea view rooms and suites, and the sharing and private pools are the main accommodation characteristic of Elounda Blu. Rooms will offer showers with jet streams or bathtubs, double bed, double closet, refrigerator, lounge chair, boudoir, flat screen tv, iPod docking station on request, coffee maker on request, WiFi fast Internet connection and garden furniture. All of them have been built within two-storey structures with cream colours incorporating them in the natural Cretan environment. Without doubt, Elounda Blu gives the individual the freedom to spend quality time in their own veranda with stunning Spinalonga and gulf views.The resort consists of sea view rooms, garden view rooms, sea view rooms with sharing pools, sea view suites and sea view suites with private pools. without doubt, Elounda Blu gives the individual the freedom to spend quality time in their own veranda with stunning Spinalonga and gulf views. The spacious suites will offer all the above with indoor Jacuzzis and outdoor pools, a desk and a sofa lounger. The elegance of modern Mediterranean interiors, earth colours and delicate wooden furnishings. Each suite offers stunning views of the Cretan landscape and sea or the fascinating islet of Spinalonga from the spacious verandas. All accommodations and communal areas are located on a picturesque hillside leading to a sandy beach and are redesigned from Olivia Siskou the sound interior architect that designed Domes of Elounda all Suites and Villas Spa resort offering a relaxing new environment. Stone pathways and gardens with local herbs and vegetation run through the hotel and connect the rooms with the main building and the communal areas. Windows and terrace doors lead on to patios and balconies for romantic relaxing whilst the whole style of the buildings with the creamy colour ambiance and the cosy patios engrosses each visitor to experience the beauty of Crete. The Soma Spa offers a combination of unforgettable holidays, complemented with revitalising treatments, able to eliminate the tension and indulge the body with full energy. The well trained professionals practice the most efficient methods and techniques that will restore the balance of the body and soul and the elimination of the effects causing stress. E-Blu Relaxation Center is a space of calmness, relaxation and beauty treatments where time stops. The cultural experiences offered by Elounda Blu Hotel are all designed to conjure up a vivid picture of your destination and its heritage within just a few days, while still affording you the opportunity to sit back and be spoilt by the hospitality of our hotel. Enjoying you meal in one of the three restaurants at Elounda Blu is a culinary experience itself. Whether you are looking for a casual poolside setting, Cretan Gourmet light meal or intimate romantic dining for two, the hotel caters for all requests and desires. A spectacular variety of gourmet fish, Cretan, international and Mediterranean cuisine is presented that define each restaurant. In addition room service is available to all rooms and suites guests. 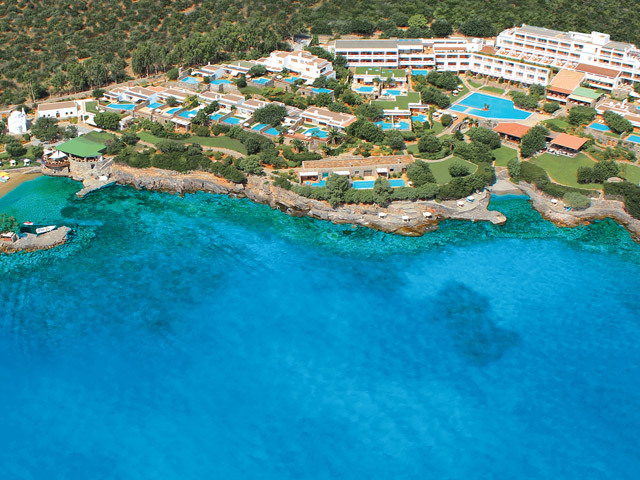 Also you can take a dip and refresh with a “cool” drink or a “hot shot” in Elounda Blu Bars. Either the Main bar, the Pool bar or the Beach Bar give the opportunity for really groovy days and ... nights.